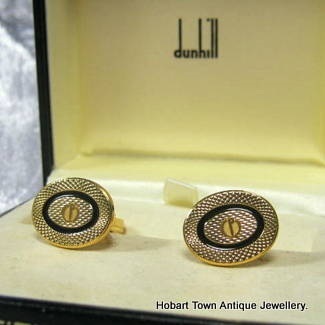 Fine Vintage Dunhill Cufflinks , Boxed ~ in Original Dunhill of London Case. 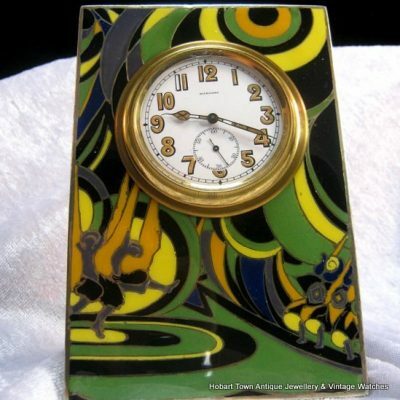 Handsome cuffs & an ideal gift idea with original fitted box. 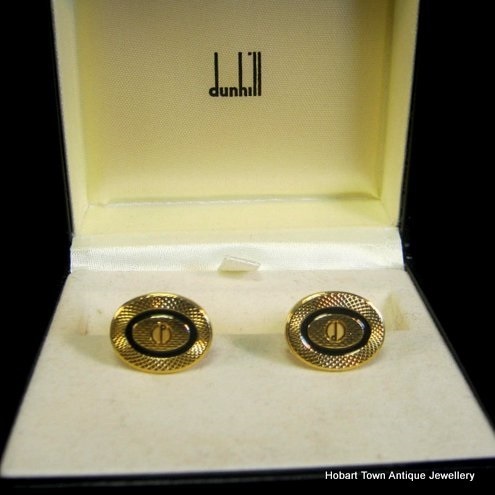 Authentic & Fine Vintage Dunhill Cufflinks , Boxed ~ in Original Dunhill of London Case. 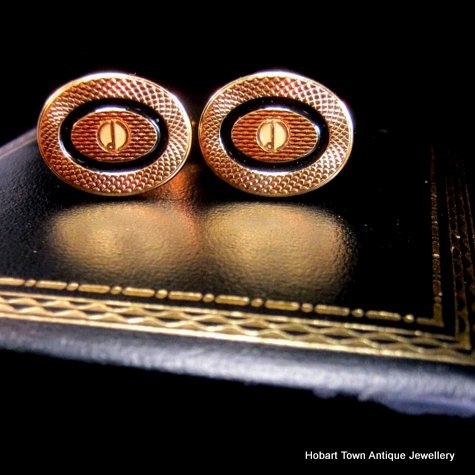 Dating to the last quarter of the 20thC , this fine pair of Dunhill of London cufflinks make an ideal gift idea. 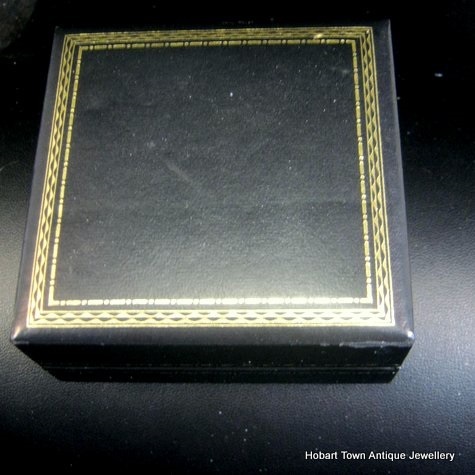 Coming with their original leather cased fitted box , as these do , the receiver of such a gift would be proud to own this handsome pair of cuffs. 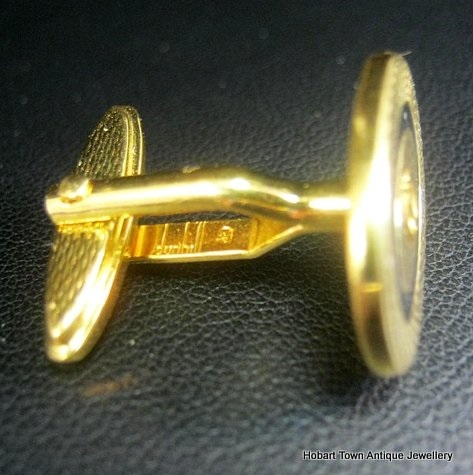 With each cuff baring the Dunhill hallmark & the fitted case being clearly marked as well , there is no mistaking which major 19thC company made this handsome pair of cufflinks. 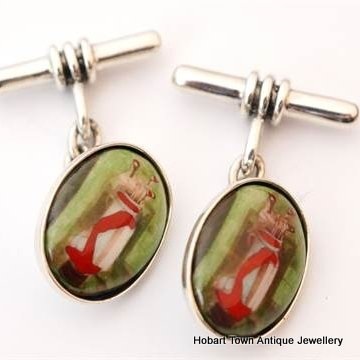 With the cufflinks being in near unworn condition , the cuffs would pass as being new. 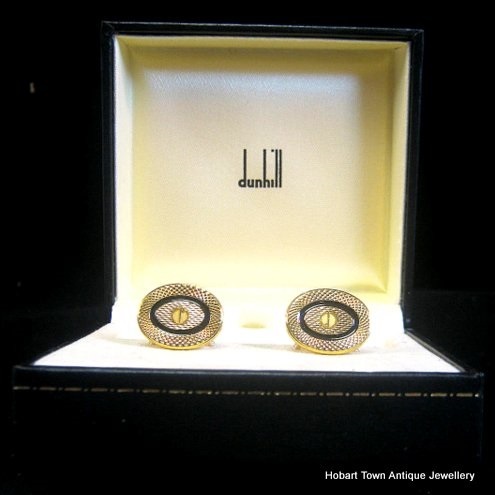 Priced to be affordable , these Fine Vintage Dunhill Cufflinks , Boxed ~ in Original Dunhill of London Case represent good value for money! 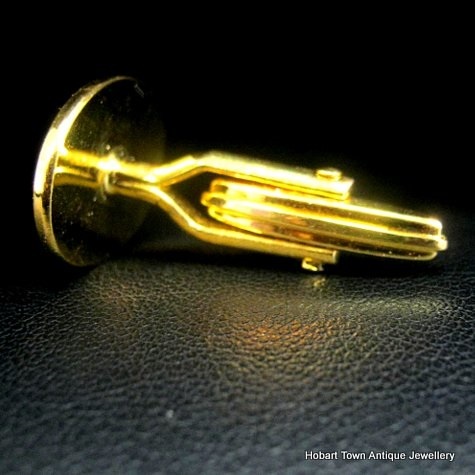 Each cufflink bares the Dunhill encircled ‘d’ to the centre of the each cuff with an engine turned woven pattern surrounding. 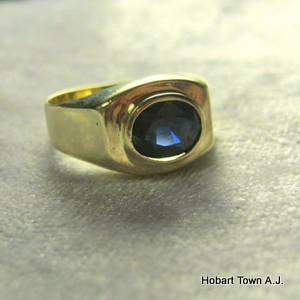 A black enamel to the circular framing adds a very appealing contrast to the cufflinks. 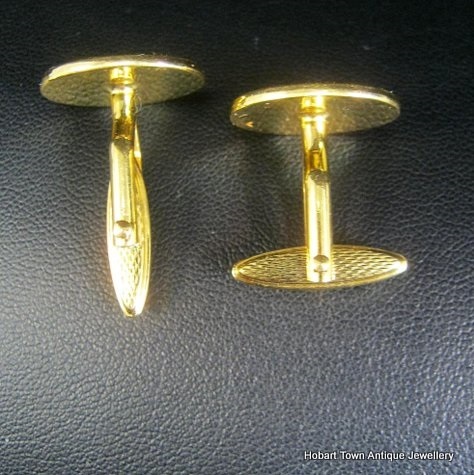 The gold filled Vintage Dunhill Cufflinks really are very handsome cuffs , especially when viewed in person would like particularly good worn over a light coloured shirt with darker suit. 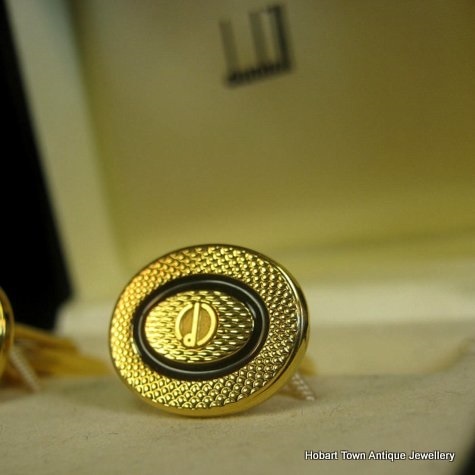 If you would like to purchase these Fine Vintage Dunhill Cufflinks , Boxed Or if you would like to ask any questions about them , please email for a prompt response.